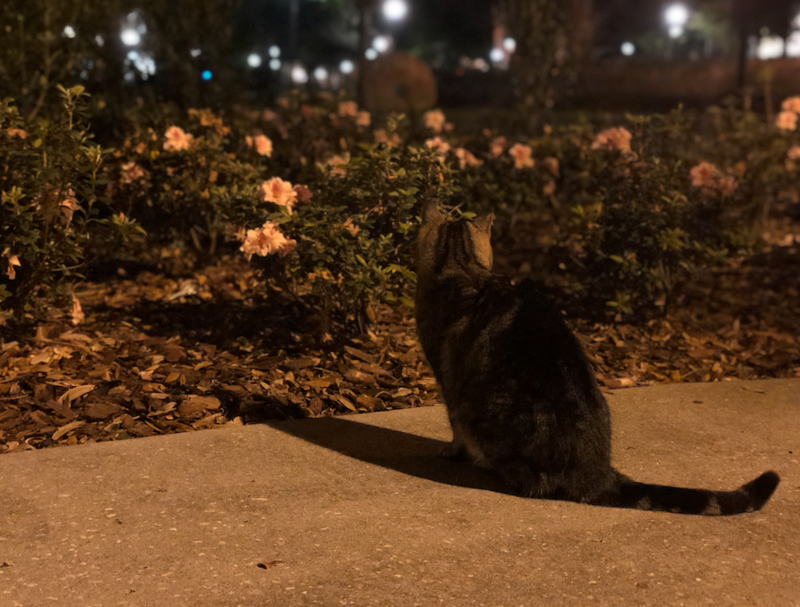 Several stray cats asserted themselves as the new leaders of Rollins College after planning and executing an infiltration of President Cornwell’s office. The students of the Pinehurst organization, who have scheduled feeding rounds for the cats, had no idea of their intentions. “I could tell they were becoming more and more feisty, but I had no clue that they would act on these feelings,” said Rowan Neldman (’20), a member of Pinehurst for two years and the person on cat-feeding duty just after the infiltration. Neldman explained that when they went to feed the cats in the early morning of Thursday, March 28, the cats were nowhere to be found. The cats left behind notes in their usual feeding areas that read, “Follow,” with a pawprint below it. Dead rats, cat excrement, and hairballs littered the floor outside the office. Neldman said that the pawprints led up to the door of President Cornwell’s office, which was closed. “I care about the cats so much, so I tried to get in the office and make sure they were okay, but they yowled when I tried to open the door. It was like it was barricaded from the inside; I couldn’t get it open,” Neldman said. Neldman also reported seeing a single ball of blue yarn hanging from the door handle.